I know this is beating a dead horse, but I came across some interesting articles over the past few days that make it worth bringing up. First are a couple articles in the New York Times, "Giants and Jets, Super Bowl Hosts, Have Already Been Richly Rewarded," about the new MetLife Stadium in New Jersey and "For Vikings, New Stadium Meets Lingering Doubts" about the program to build a new football stadium in Minneapolis. Both articles outline how much the localities are giving up. The new MetLife Stadium in particular has greater revenue going to the teams than the split from the previous Meadowlands Stadium. The 2014 Super Bowl Host Committee, which was created by the Jets and the Giants, estimates that events in the week leading to the Super Bowl will generate about $550 million in economic activity in New York and New Jersey. But many sports economists are dubious, arguing that big sporting events tend not to produce anywhere near the kind of money organizers predict. The study, which looked at 30 Super Bowls, concluded that the N.F.L. routinely overestimated the benefits of the event, while underestimating the cost of putting it on. On average, the economic impact is “one-quarter or less of the magnitude of the most recent N.F.L. estimates,” the study said. Sports administrators and politicians frequently claim that stadia and the sports events associated with them have beneficial effects on the economy. Surveys compiled before the construction or installation regularly demonstrate this. A case in point is the 2006 Soccer World Cup in Germany, for which various banks, organizations and universities tendered their expertise. Positive effects such as a long-term increase in the number of visitors, the establishment of new industries and so on are claimed for the period following the event, but in most cases the claims do not have the back-up of appropriate data. 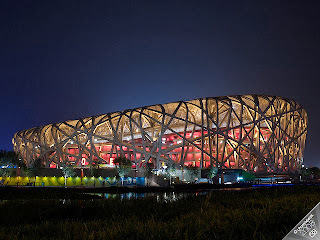 Beijing National Stadium (The "Bird's Nest") at night. Wikipedia photo. 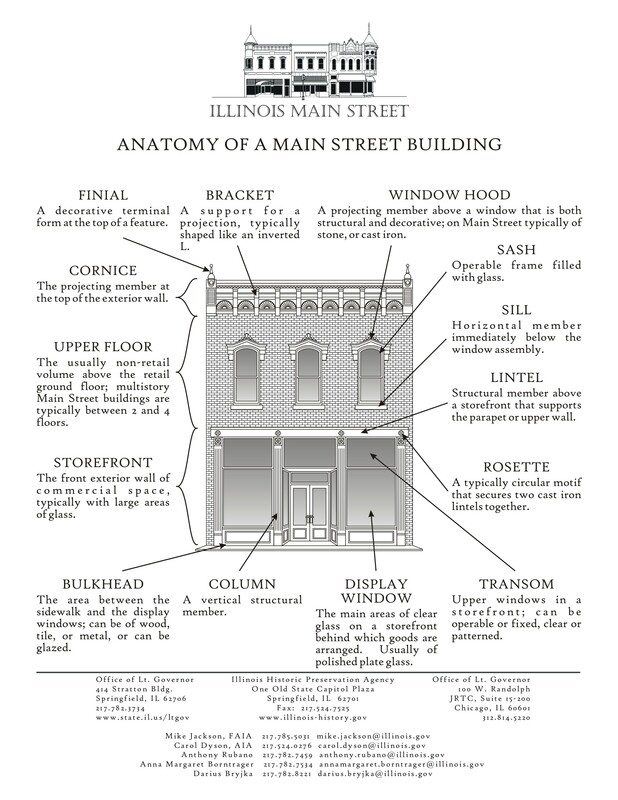 I think it's an interesting point, but I would argue that architectural distinctiveness isn't necessarily going to contribute in extra-normally positive ways, outside of normal events. First, people mostly don't travel places to see stadiums. Second, mostly people visit stadiums as part of their attending regularly scheduled team matches. Third, most stadiums don't experience a great number of additional events that generate extra-ordinary economic returns, especially overnight tourist stays, etc. Therefore, as iconic architecture as an element of what many refer to as "architectural tourism," even distinctive stadiums are not likely to be a long term contributor to scalar changes in local economic activity. That being said, stadiums and arenas can be successful in drawing economic activity from other parts of the region thereby benefiting specific sub-districts and jurisdictions at the expense of others, even though overall economic output measured at the metropolitan scale remains unchanged. But crappy facilities probably aren't much of a benefit, as they don't spur additional demand to locate proximate to the facility. Although a study of the FedEx field in Suburban Maryland did find a positive association on housing values ("How Does a New Sports Stadium Affect Housing Values? The Case of FedEx Field," Charles C. Tu. Land Economics 81:3 (Aug., 2005), pp. 379-395" ). Do architecturally distinctive stadiums last longer, thereby generating public benefit from lower subsidies overall? And, where there might be a difference from "architecturally distinctive stadiums" is in how long they last. Whereas the Giants Stadium was built in 1976 and lasted about 35 years, before it was replaced by MetLife Stadium, maybe distinctive stadiums will last significantly longer. Although there may be a difference between sports, at least in the US, over the longevity of stadiums and arenas. Baseball stadiums tend to last for quite awhile (well, not for stadiums built in the 1970s), while football stadiums and basketball and hockey arenas tend to be replaced more quickly. However, this could be a function of when the buildings were likely to be constructed, with more recent buildings not being constructed for the long term, as opposed to baseball stadiums constructed earlier in the 20th century. Presumably, a stadium that stays up longer costs less than more frequent rebuilding and replacement of stadiums, and this would be of great value to the public. A science fiction museum for DC?